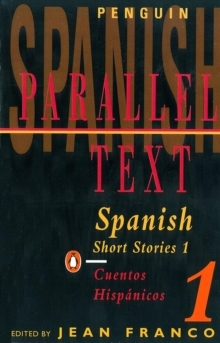 Excellent reading in either Spanish or English, the eight short stories in this collection by authors including Jorge Luis Borges, Gabriel Garcia Marquez and Camilo Jose Cela have been chosen for their readability and literary merit. Seven are from Spanish America, only one from Spain, an unsurprising ratio considering there are no less than nineteen Spanish-speaking countries in the Americas, and that the short story is an extremely popular form among authors there. This selection also, therefore, gives the reader an insight into the differences between the literary cultures. Printed approximately in order of difficulty, the stories are accompanied by parallel English translations and notes on the text.